Access to most historic sites managed by the Office of Public Works will be free today and on the first Wednesday of every month for the rest of this year. 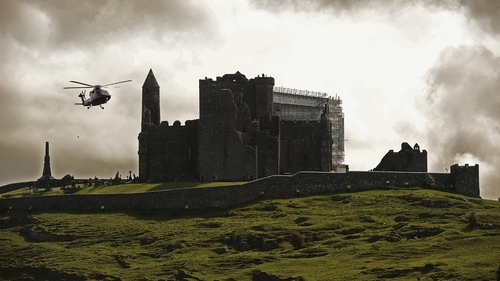 It is part of a new initiative to encourage more national and international visitors to sites such as the Rock of Cashel, Clonmacnoise and the State Apartments in Dublin Castle. The decision was made by Minister of State responsible for the OPW Brian Hayes, who said it was done to stimulate interest in the built heritage of the country. Access to most is free but for some sites such as Kilmainham Gaol, Kilkenny Castle and Newgrange adult visitors pay a fee of between €3-11 each. The OPW is responsible for the maintenance and management of over 750 national monuments around the country. The move is not purely aimed at encouraging overseas visitors to tour the sites. Mr Hayes said he hoped a wider cross-section of all communities living in Ireland would take the opportunity to explore these national treasures. The scheme will last until the end of the year when its success or otherwise will be reviewed. Muckross House & Gardens, Muckross Traditional Farms and Glenveagh Castle are excluded from the scheme.